Covering over a thousand square kilometres with almost 8 million people, it’s hard to know where to start exploring a mega-metropolis like London. Taken as a whole, the city seems brash, noisy and impenetrable. But when you break it down, borough by borough, the real character shines through. From East End market traders on Roman Road, the oldest trade route in Britain, to the oh-so-chic (and expensive) fashions of Chelsea, every area – every street, even – has its own story to tell. And it’s a story that’s constantly evolving. With the influx of immigrants from nations around the world – most recently, Eastern Europe – whole areas are taking on new and rapidly changing identities. Like Brick Lane, for example. Once a haven for Huguenots fleeing religious persecution in France, the area became home to the Irish, then Ashkenazi Jews, before morphing again under the influence of today’s Bengali population. Each group left its mark through food, music and religion. It’s this delightful mish-mash of normally disparate cultures that makes London neighbourhoods so wonderful to explore. London is a city in flux, a city whose population and culture is influenced by and, in turn, influences the world. You can almost feel the creativity humming as people from all over the globe mix to create an atmosphere unlike any other. There’s no escaping it: when in London, you must see Big Ben. You can’t go inside, but you can hear the bells toll and see the tower to its best advantage just across Westminster Bridge on the South Bank. 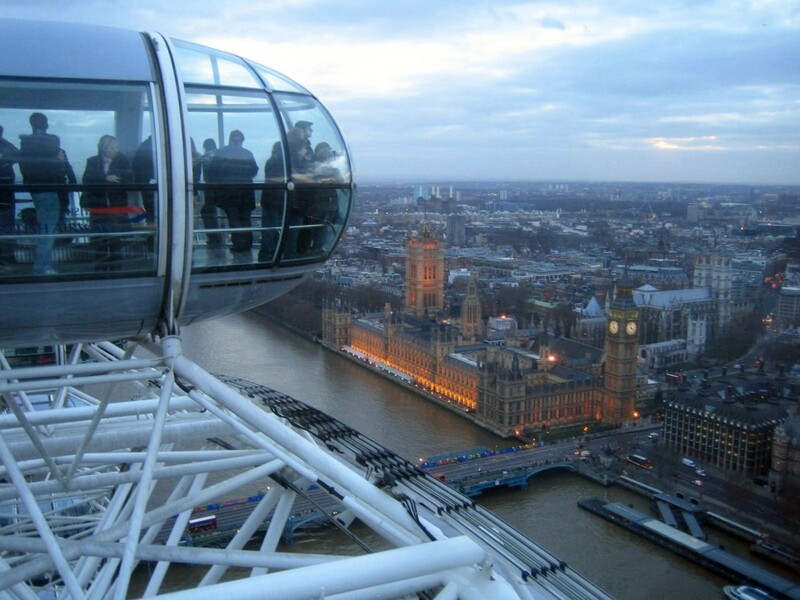 Once you’re done, take a ride on the London Eye nearby – this relatively new addition to the landscape (1999) is exceptionally popular so be sure to buy your tickets in advance! After continue along the South Bank to see the newly refurbished Royal Festival Hall, stop to have a drink under Waterloo Bridge at the British Film Institute, all before trotting down the Jubilee Walk beside the Thames to the Tate Modern (the view from the 7th floor is spectacular – and the art isn’t half bad). For even more details on the South Bank read our detailed district guide here. London eyeful. (Best to book your tickets in advance!). From the Tate you can cross the Millennium Bridge to St Paul’s Cathedral, and test the acoustics of the famous Whispering Gallery. From St. Paul’s you’re not far away from the legendary Tower of London, with its ravens, Beefeaters, prison cells and Crown Jewels. A skip the line ticket is highly recommended. The next day be sure to hit the British Museum, which is free to enter and whose many treasures include the Rosetta Stone and the Parthenon Marbles (on a controversial ‘long-term loan’ from Athens) and then finally round off your tourist circuit with a visit to one of Buckingham Palace (end of July, August and Sept only: book your tickets here), the Royal Albert Hall or Kensington Palace. A great way for first-timers to take in all the sights without losing their mind is via Big Bus Tours where you can whip around the city on a double-decker and hop on and off to your heart’s content. The more adventurous can escape London traffic and see the sights from the city’s main thoroughfare, the Thames, with London Duck Tours. During winter you add some romance to your weekend break with a spin around one of the capital’s outdoor ice rinks, which spring up around Christmas in some gorgeous locations like Somerset House and Hampton Palace. 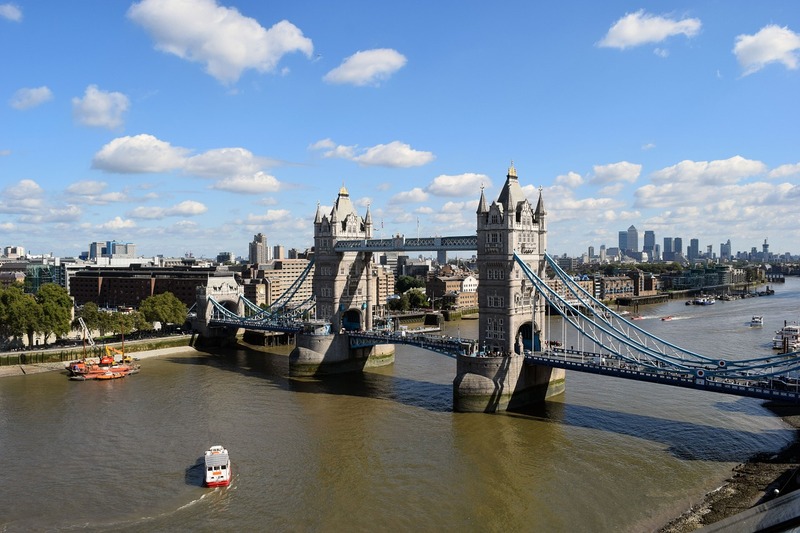 However you explore London the prices do quickly add up (some sights are well over 20 GBP), and those planning to see more than five or six of the famed attractions should strongly consider a London city pass. 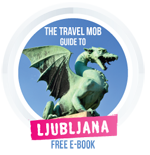 Offered by Get Your Guide, it gives you free entry to dozens of major sights, as well as other benefits, potentially saving you a tonne of squid. Check out their website and see if it’s for you. For those who hate museums, how about checking out the city’s famous markets instead. Portobello Road is the place for antiques and trinkets, and Camden Market for everything from Gothic fashion to fried bananas. Foodies meanwhile shouldn’t miss Borough Market. As for young urban, dare we say “hipster” culture, then forget the gentrified west; London’s East End is where it’s all happening. If you want to mix music with muesli, head to The Premises where breakfast is served all day long. A functioning recording studio, you might run into Little Boots or Lily Allen as you munch. Later you might want to browse the stalls in Spitalfields Market for food, jewellery and clothes or take your pick of crazy fashion on display at The Old Truman Brewery. At 93 Feet East, just off Brick Lane, there’s burgers, beer, and dancing ‘til late. Or try out a new London trend with a ‘plub’ – a hybrid of club and pub – at the Horse and Groom. And if you need some carbs to keep you going, Brick Lane’s Beigel Bake is open 24 hours and enjoys something of a cult status in the area, going back to the 90s. 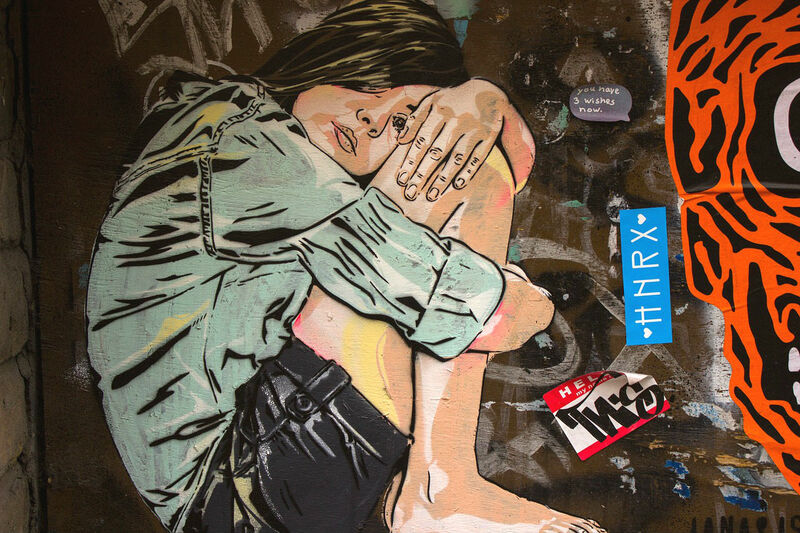 For more ideas check out our Secret Seven cool things to do in the capital, as well as our Top Five alternative London attractions, and not forgetting our district guide to Camden Town, the home of punk rock. Let your senses be your guide at Dennis Severs House, where you’ll encounter ten rooms set to create ‘moods’ from between 1724 and 1914. Weave your way through the silent house by candlelight as you interrupt the invisible occupants, an eighteenth-century French Huguenot family of silk-weavers, at their dinner. If you want to look forward rather than back, go on a Cutting-Edge Green Tour. In the three-hour tour, you’ll see everything from London’s only floating gardens to recycled fashion – and make lots of other stops along the way. (On a similar theme find out what happened when Urban Travel Blog went guerilla gardening in London). 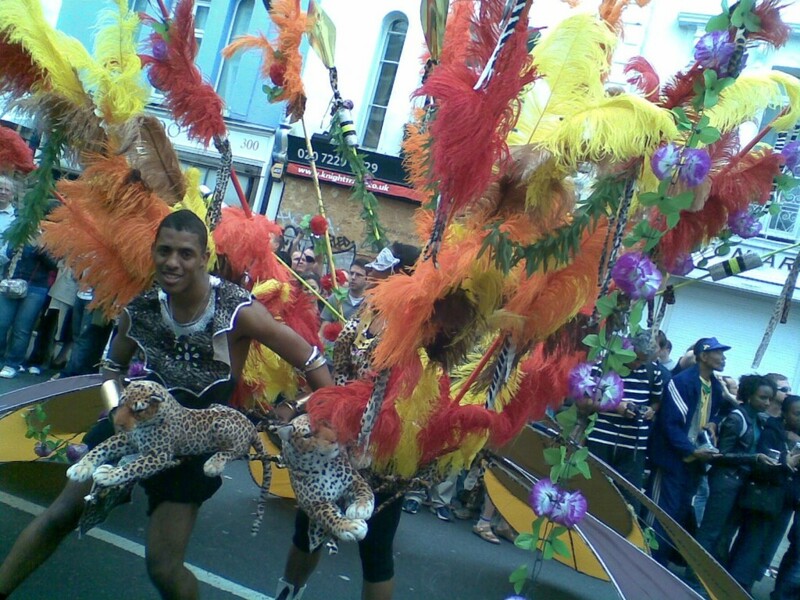 Every August bank holiday weekend, almost a million people flock to the Notting Hill Carnival for music, food and the pinnacle of it all: the Parade, where hundreds of drummers pound out the beat as crowds line the streets. With smoke from jerk chicken clogging the air along with the booming bass from street-side sound systems, it’s hard to believe you’re still in London. Fans of dance and rare grooves should make an e-line for the Good Times stage, where king of the carnival Norman Jay keeps the party in full swing. Fancy some firecrackers? Make sure you’re in town around the fifth of November for Guy Fawkes Day. Commemorating the day when Fawkes tried to blow up the Houses of Parliament, the dark autumn sky is punctuated by the sharp pop of firecrackers culminating in one big annual blow-out at Alexandra Palace. If you’re more into water than fire, head to the river the first week of April for the yearly boat race between rivals Cambridge and Oxford. For more weird and wonderful experiences in London, check out our articles on Street Wars, photo dating and ghost walks and scary attractions! Backpackers are well served in the UK capital by the St. Christopher’s Inn chain of hostels, that has establishments in Camden, Greenwich, London Bridge and other central districts around town. For a bit of high life on a budget the Eden Plaza Kensington Hotel is literally opposite the Natural History Museum in the affluent Kensington borough in West London, as is the mid-range Kensington Close Hotel, just steps from the shop-packed High Street and around the corner from Kensington Palace. To really live large, book yourself into the Zetter’s roof-top rooms with private patios overlooking St John’s Square in trendy Clerkenwell, East London. People from all over the world come to live in London – and they bring their cuisine along too. From Ethiopian to Egyptian, whatever you’re craving can be found here. Forget the curry hacks on Brick Lane and head over to Pakistani-Punjani restaurant Tayyab’s, voted Indian Restaurant of the Year in the London Restaurant Awards. If you’re after nose to tail eating – where no bits are wasted – St. John Restaurant can provide you with a taste of chitterlings with dandelion and bone marrow salad. For some brilliant Thai within a traditional English pub environment, Churchill Arms in Kensington serves up steamy Pad Thai to die for. Also out West and Daquise is a wonderfully romantic Polish cafe-restaurant by South Kensington tube. For street eats head back East to Ely’s Yard, where hipsters can choose between several award-winning food trucks. The Brits are notorious pub lovers, but that doesn’t mean that’s all there is to be had. 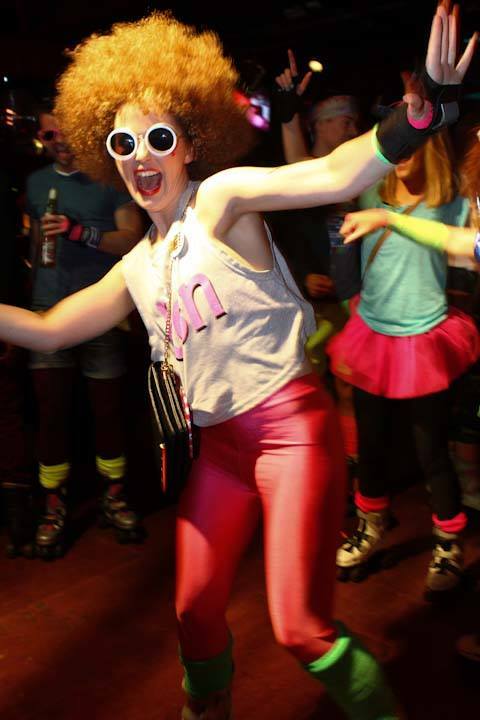 Get your skates on and head back to the seventies every Thursday, Friday and Saturday night at Roller Disco. If you prefer to keep your feet on the ground, go to Notting Hill Arts Club where the mix of great music, buzzing crowds and artsy locals always makes for a great night. Or pack it in under the railway arches at club Cargo, a staple of Shoreditch nightlife. Indeed throughout the noughties it was Shoreditch that was the cutting edge area to go out in, but any self respecting hipster might be better heading out in the likes of Dalston or Peckham. The latter is the home of the excellent Frank’s Cafe, one of a spate of trendy pop up bars that have hit London in recent years. One final piece of nightlife advice: London is enormous (approx. 35 miles / 55 kilometres across) with great bars and pubs in nearly every district, so your best bet might be to do a local search in the area you’re based in before you trek all the way across town. Rollergirls just wanna have fun. (Photo by Rollerdisco). London is one of the most accessible cities in the world. The likes of EasyJet and Ryanair both fly in from a variety of European cities, whilst British airways have direct flights from Australian cities like Sydney and Melbourne and pretty much everywhere in between. One downside of the cheaper airlines is they do have a tendency to land in Luton or Stansted airport, so make sure transport into the centre is still running when you arrive. Big carriers are more likely to drop you in the better connected (and nearer) Heathrow and Gatwick airports. If you don’t fancy training it in, then the appropriately named Book Taxi London is a good place to search for a private transfer, as is Blacklane, a specialist in chauffeured and limousine transport. For those that prefer not to fly, the famous Eurostar connection runs frequently to and from France and the City of Light, as well as to Brussels. Need a place to drop off your bag, after checking out of your apartment? Forget the expensive left luggage services in the train stations, and try City Stasher, which uses an Airbnb style model and allows you to securely leave your bags with a local business or hotel for a very fair price. Londonist keeps you up-to-date with news, reviews and general information about the city. For weekly listings, TimeOut provides an easily searchable online database. For interesting (and sometimes obscure) tidbits about local life, check out Diamond Geezer’s blog. The Rough Guide to London has everything you need to know to get you here and sort you out. If you’re looking for what’s on at any hour of the day or night, check out 24 Hours London. And to impress the locals with your depth of knowledge, get your hands on I Never Knew That About London. Notting Hill is probably the best film to be set in the capital… just kidding. Try Dirty Pretty Things, Lock Stock and Two Smoking Barrels or Closer. If you must watch a cheesy rom-com then opt for Gwyneth and John over Julia and Hugh. This essential weekend guide is just the beginning of our London coverage. 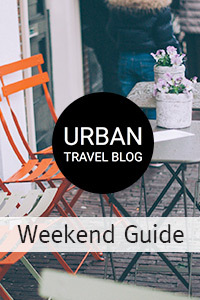 Check out how we best spent €500 with these local tips, or check all our stories here. And don’t forget to visit the rest of Britain’s amazing cities. A great thing to do when in London in the evening is to go on a Jack the ripper walk. I did this recently and was really impressed with the quality of the tour and the price that I paid for it. It is definitely something that I would recommend to others. Thanks David… it does look pretty cool. Now time to come clean… are you their marketing manager or director;) Maybe you should invite an Urban Travel Blogger down to check out the experience in full!??? A great way to get in to the best night clubs in London is with London Night Guide. They get you on the guest list for Clubs like DSTKTR, Cirque le Soir and Boujis Club London. They also provide a superb VIP Table Reservation Service and NYE London Party Guide. Best New Years Parties in the capital, no doubt. Brilliant and inspiring blog with lots of fresh ideas. Dazzling and inspirational article with a lot of new thoughts. I’m a local but when I first moved to London I stayed in Generator Hostel for a few weeks and I’d definitely recommend it for budget accommodation. Brick Lane is a must like you mentioned – but make sure NOT to go to the curry houses there, they’re terrible and not authentic at all! Oh really, I’ve had a couple of good curries on Brick Lane! Where would you recommend instead then? Definitely trying the Roller Disco 😀 Cheers! Thank you Duncan. I moved to London 3 years ago and I still exploring this beautiful city. I still haven’t visit these places. Thank you for the informative guide. Great guide Marsha, very informative. There is so much to see in London, something for everyone! You’ve definitely given me some new ideas for the weekends so thank you. Training as a journalist, Marsha's desire to write and travel propelled her from her native Canada to Poland and then on to London, where she has lived and worked for the past five years. She is the author of London travel guide 24 Hours London and 24 Hours Paris, and pens novels under the nom de plume of Talli Roland.